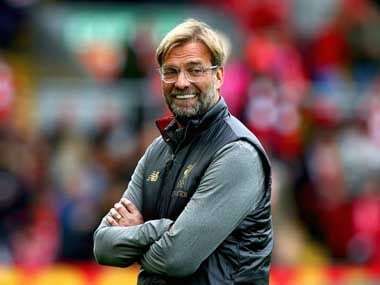 Leicester: Liverpool manager Jurgen Klopp insisted his side are thriving, despite the pressure they faced during a recent four-game winless streak that ended with a 3-2 victory at Leicester City on Saturday. 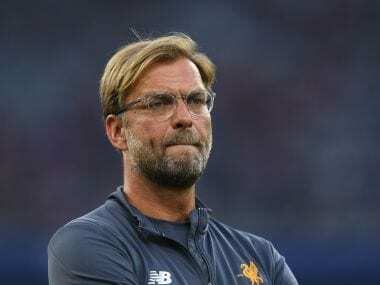 Klopp's side have come in for criticism at both ends of the pitch as a misfiring attack has failed to take its chances while a leaky defence has struggled to keep a clean sheet. 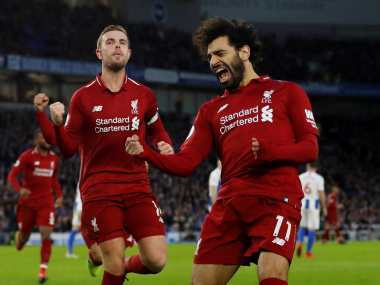 Goals from Mohamed Salah, Philippe Coutinho and Jordan Henderson solved one of those problems as the Reds won at Leicester. 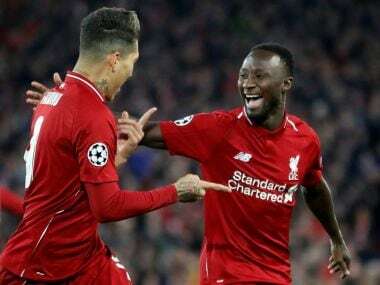 But a match Liverpool threatened to dominate when they lead 2-0 turned into a nail-biting finish as their defence conceded goals to Shinji Okazaki and Jamie Vardy. And they could have been forced to settle for a draw but for the heroics of Simon Mignolet, who gave away a penalty but redeemed himself by denying Vardy from the spot. Klopp said, "I thought we were deserved winners. It's a good day. I loved how we fought for the result. It could have been clearer, but after a few games without a win you have to fight back. "We feel we are in a really good way but we have to show it with results so everybody can see it. You could see it at 2-0 up the game looked a bit different, we wanted to manage it, but it was too early and we were in the wrong spaces. "I know about pressure, I have actually had pressure all my life for different reasons. "Pressure, when it is the right pressure, always helps. We want to be successful, this quality we have is a response to being under pressure. After a few games without the right result we have to fight back and that's what we did. "We are in a good way because we are playing good football. Yes, we still have problems defensively but every line-up concedes goals. "We love to work together and have a fantastic atmosphere at Melwood. We all want to be successful together." The two sides combined to provide a frenetic, roller-coaster of a match that flowed from end to end. Salah opened the scoring for Liverpool with a powerful header from a tight angle. It looked like the Reds might run away with it when Coutinho curled in a superb free-kick on 22 minutes. Leicester struck back through Okazaki on the stroke of half-time but fell further behind as Henderson applied the coup de grace to a devastating counter attack. The home side battled back once more with Vardy converting a header. Leicester City manager Craig Shakespeare said, "We've got mixed emotions and I'm struggling to process the game. We've got no points but we contributed to a great game. "Fabulous game, momentum felt with us but come away with nothing because we put ourselves at risk. "We have to realise we are playing against some quality opposition and we started with high intensity. We showed a lot of resilience and character to get back into the game. Penalties can be missed. It would have been a deserved point. "Because we were searching for that second goal it cost us. Disappointed with the way and time we conceded the third. We had momentum at that point. "We knew the start we had was challenging and we were looking forward to it. We had to make sure we turned performances into points. We've been close in every game, but it's not enough. "We need points. We have a clear week ahead of Bournemouth, which is a big game. It is important we respond by dusting ourselves down and get back to work and get some more points on the board."